Enjoy your favorite outdoor activities even under the coldest weather! 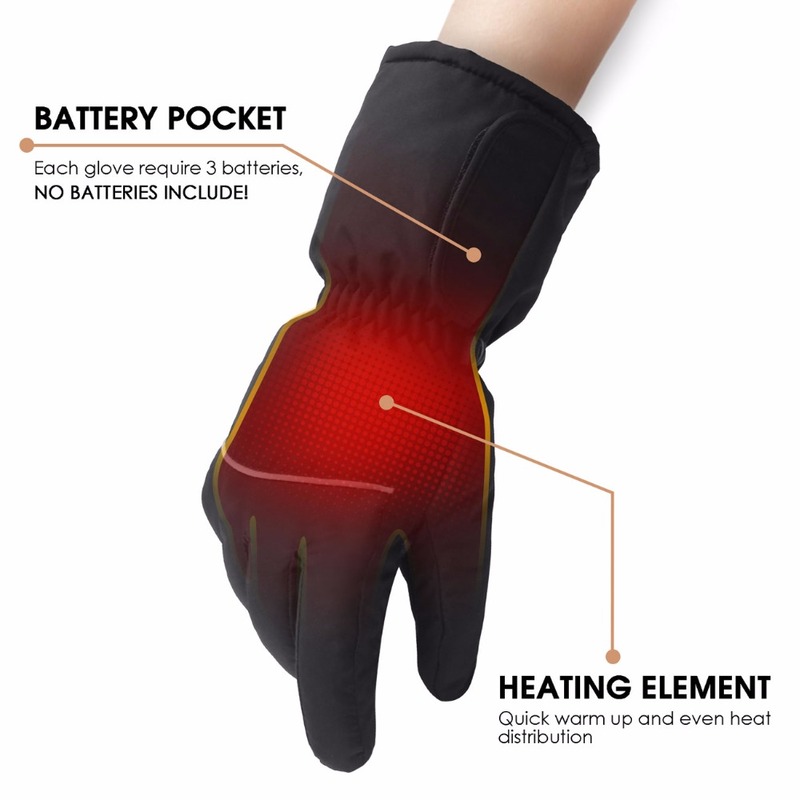 These Cold Resistant Electric Heated Gloves are the ultimate winter gloves, ready to tackle any winter condition or cold weather activity you can conjure up! They don't only protect your hands from snow and ice but they actually heat them all the way to the tips of your fingers, for long-lasting warmth and comfort. Breathable and comfortable to wear, each glove's index finger features a touch screen function so you won't have to slip them off when you have to take a call or skip a song on your phone. 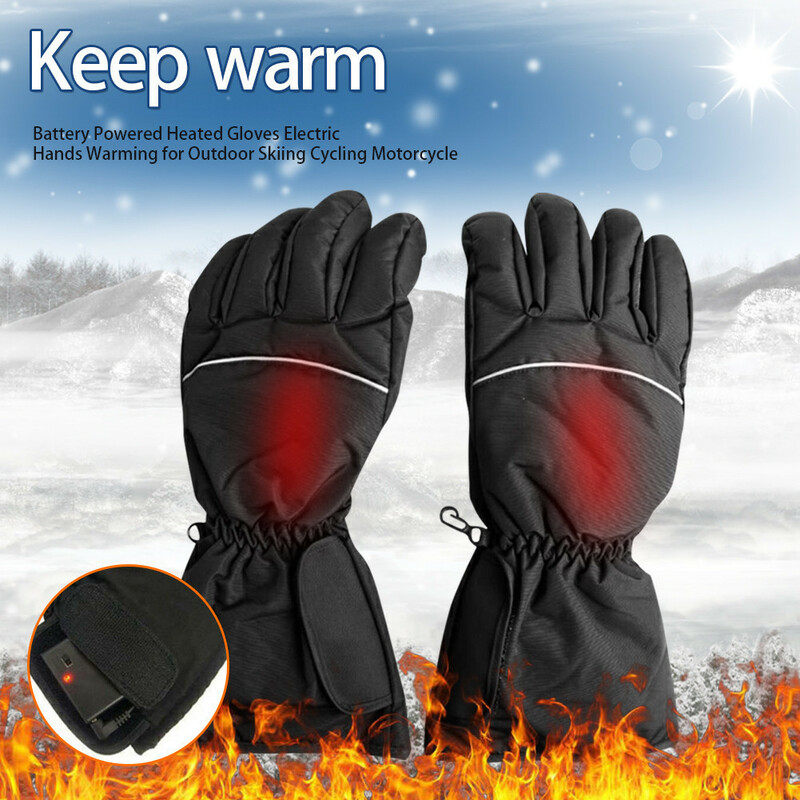 These amazing Electric Heated Gloves will be your perfect companions during extreme cold weather conditions. They provide comfort and enough heat for you to enjoy your favorite outdoor activities even under cold weather. They're easy and safe to use. 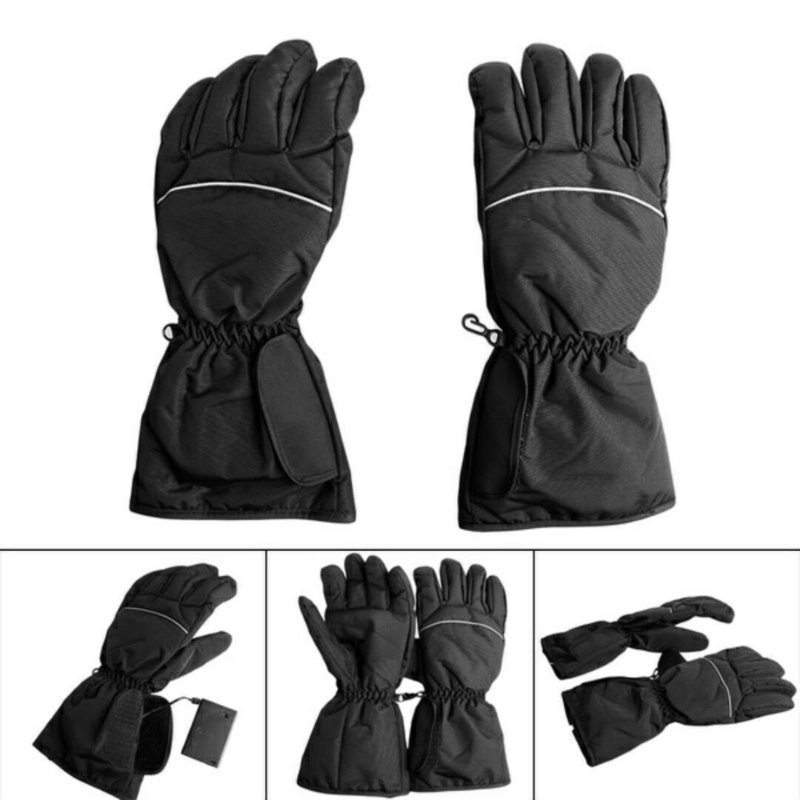 Stylish and practical, these gloves are ideal for outdoor enthusiasts, but also for people who work outside during the winter. Made with high-quality soft and light, breathable material. A large heating area which covers your 5 fingers and the back of your hand. The gloves reach maximum heat in no-time, making them efficient and reliable. Offers up to 8 hours of comfortable warmth. Non-slip material at the glove's palm, making the gloves viable for various activities such as hunting, skiing, house maintenance, etc. Touch screen compatibility on the index finger so you can conveniently use your mobile device while wearing the gloves. 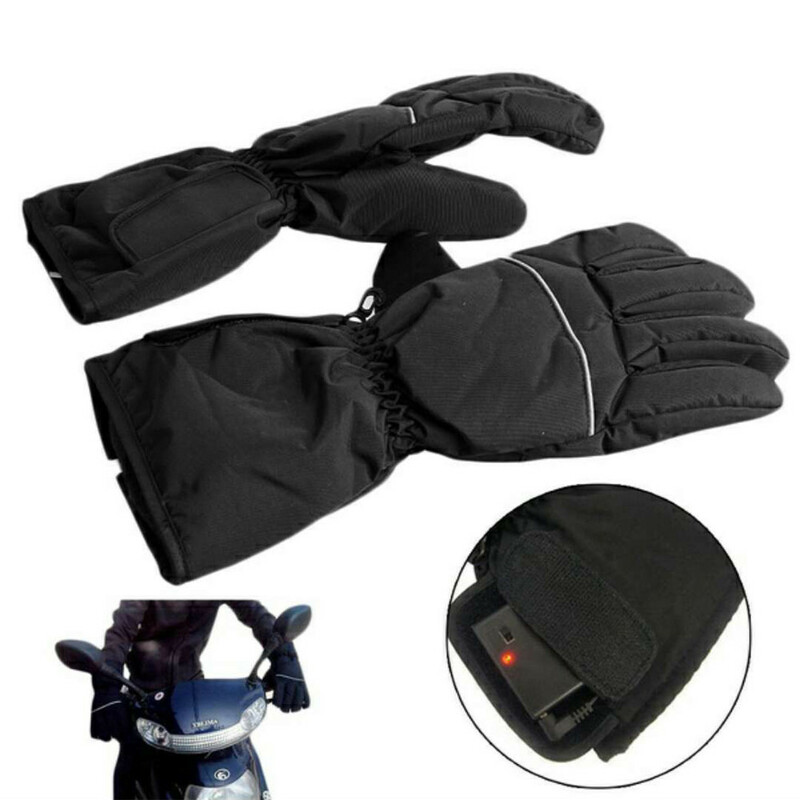 Hidden battery case pocket: These gloves are battery powered, and feature a hidden pocket designated for the included battery case. Size: one size fits all- 34cmx15cm\13.39"x5.91" , Total length: 34cm / 13.39"
Middle finger length: 8.5cm / 3.35", Total width: 15cm / 5.91"